'Guardians of the Galaxy Vol. 3' will set up decades of new Marvel movies. 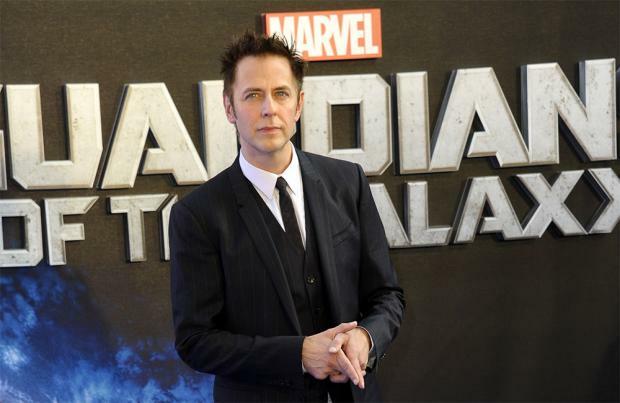 Director James Gunn has given fans of the superhero movies an insight into what they can expect from Marvel films over the coming decades, revealing the third 'Guardians' will perform a key role. Asked whether the character of Richard Rider, who is also known as Nova, will appear in future Marvel Cinematic Universe films, James explained: "Yes, definitely. Nova comes up occasionally as someone we might use. "One of the things I'm doing with creating 'Guardians of the Galaxy Vol. 3', it will take place after the next two 'Avengers' movies and it will help to set up the next 10, 20 years of Marvel movies." James made the confession during a fan Q&A, and the seemingly innocuous query prompted him to reveal some of Marvel's long-term plans. He said, according to Collider: "It's going to really expand the cosmic universe. We're going to be setting up new characters. It will be the last movie of this version of 'Guardians of the Galaxy'." Meanwhile, James recently admitted he's been agonising about the plot of 'Guardians of the Galaxy Vol. 3'. explained: "In the first movie there is a the mugshot sequence where the characters go through and they're going through the mugshots and having their picture taken and the Nova Corps has information about each of the characters coming up on their little machinery. "Now, those things are something that your average viewer doesn't see at all and doesn't read but there's a lot of background I put into those things about who they've worked with, where they're from, what's going on. And it's one of those things that I'm thinking about changing."